Professor Busuyi Olasina AGBEJA is the current Head of Department. He was born in Ilesa West Local Government Area of Osun State, Nigeria. He had his primary and secondary School at Ilesa. He was admitted into the Department of Forest Resources Management, University of Ibadan, Nigeria in 1984. He graduated with B.Sc. (Forest Resources Management); M.Sc. (Forest Economics and Management); and Ph.D.(Forest Policy and Economics) in 1989, 1994 and 1999 respectively. He was a recipient of Dr.(Chief) Lawrence Omole’s Foundation Scholarship for his M.Sc. Programme in 1994 and a prestigious African Academy of Science (AAS) Grant for his Ph.D. Programme in 1999. He was also a recipient of the following: M.K.O Travel Grant for Postgraduate Teacher; University of Ibadan Senate Research Grant for Individual Research; The African Forest Research Network (AFORNET) as a Principal Investigator in Nigeria, Ghana and Niger Republic; The African Forest Research Network (AFORNET) as a Collaborator in Nigeria, Ghana and Cameroon; International Foundation for Science (1FS) Grant; INTERCOOPERATION Sponsorship by Governments of Indonesia and Switzerland to participate in the Workshop and Conference of United Nations Forest Forum in Interlaken and Geneva; The African Forest Research Network (AFORNET) as a Principal Investigator in Nigeria and Ghana; Postgraduate School, University of Ibadan Subsidy to undergo a short Training in International Environmental Law-Making and Diplomacy Course; African Economic Research Consortium (AERC) Sponsorship; University of Ibadan Financial Assistance to Undergo a Short Training in Erasmus University, Rotterdam, The Netherlands; Postgraduate Teacher’s Conference Grant in 2002, 2003, 2004, 2006, 2007, 2008 and 2012 respectively. ` Professor Agbeja began his lecturing career as an Assistant Lecturer in the Department of Forest Resources Management on 02 June 1997. He was upgraded to Lecturer II on 27 July 1999 after he obtained his Ph.D. Degree. He was promoted Lecturer 1, Senior Lecturer, Reader and Professor in 2002, 2005, 2008 and 2011 respectively. In quest of knowledge in International Environmental Law and Tools for Climate Change, Professor B.O. Agbeja obtained Diploma in International Environmental Law-Making and Diplomacy, University of Joensuu, Finland and Diploma in Urban Management Tools for Climate Change, IHS, Erasmus University, Rotterdam, The Netherlands in July 2006 and June 2012 respectively. Professor Agbeja has worked in various capacities in the Department of Forest Resources Management; Faculty of Agriculture and Forestry; and the entire University of Ibadan, Nigeria as follows: Current Head of Department; Coordinator, Practical Year Training Programme (PYTP) and Students Industrial Work Experience Scheme (SIWES) from Year 2000 to 2008 with remarkable achievements; Member, Department of Forest Resources Management Postgraduate Committee; Secretary to Faculty of Agriculture and Forestry Newsletter Publications; Member, Faculty of Agriculture and Forestry Finance Committee; Member, Faculty of Agriculture and Forestry Curriculum Development Committee; Member, Teaching and Research Farm Committee; Member of Congregation, Senate; and Quality Assurance Officer for the Faculty of Agriculture and Forestry. He has attended several conferences and workshops within and outside Nigeria. Some of the countries travelled to for acquisition of knowledge are USA, Canada, United Kingdom, The Netherlands, Switzerland, South Africa, Czech Republic,Norway, Kenya, Malawi, Senegal, Ghana, Niger Republic, Benin Republic, Sierra Leone and Cameroun. To date, Professor Agbeja has more than 70 publications to his credit in Learned Journals, Chapters in Books, Refereed Conference Proceedings and Technical Reports. Professor Agbeja teaches courses at undergraduate and postgraduate levels in Forest Economics (FRM 315); Resource Policy, Law and Administration (FRM 514); special projects (FRM 520); Organising Research in Renewable Natural Resources (FRM 712); Forest Policy Systems and Planning (FRM 741); and Agroforestry and Economic Development (MAF 714). Professor Agbeja has successfully supervised and completed 20 B.Sc. Projects; 20 M.Sc. Dissertations; 1 M.Phil. Thesis; and 5 Ph.D. Theses. He is currently supervising 2 B.Sc. projects; 4 M.Sc. Dissertations and 6 Ph.D. Theses. Professor Agbeja is a promoter of conducive environment for learning and acquisition of knowledge. In the last two years, he has been adding values to the Department of Forest Resources Management. He orchestrated the establishment of Teak Plantation at Ile-Ogbo, Osun State and the University of Ibadan Management financially supported the Teak plantation. Activities are on-going in the plantation. 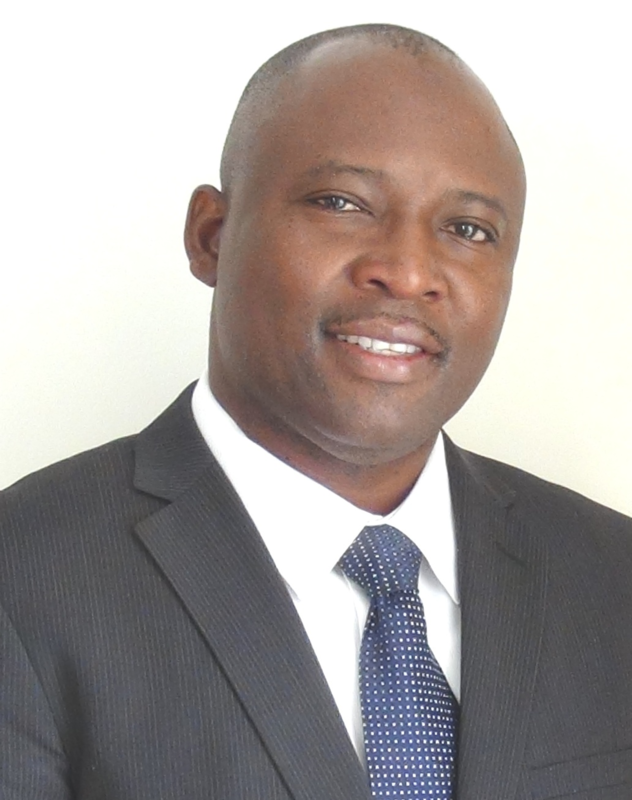 Professor Agbeja is the Current President, Commonwealth Forestry Association (CFA), Nigeria Chapter. He also belongs to the following professional affiliates and learned societies: Member, Commonwealth Forestry Association (CFA); Member, African Academy of Sciences (AAS); Member, African Forest Research Network (AFORNET); Member, International Foundation for Science (IFS); Member, African Network for Agroforestry and Natural Resources Education (ANAFE); Member, International Society of Ecological Economics (ISEE); Member, Nigerian Conservation Foundation (NCF); Member, Ecological Society of Nigeria (ECOSON); Member, African Economic Research Consortium (AERC); Member, Forests and Forest Products Society (FFPS); and Member, African Forest Forum (AFF).